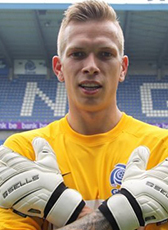 Talented goalkeeper who was educated at the Ajax youth academy Marco Bizot moved abroad in June 2014. He signed a 3-year contract at KRC Genk in Belgium. After expiration of his contract he returned home signing a 4-year contract at AZ Alkmaar as first choice keeper.